One of my best finds to date! I met this stunning lady by chance when walking in the Peak District. I had to take to twitter and the experts to discover the breed. After much debating the pros settled on an Irish Moiled, hence her name, Clover. 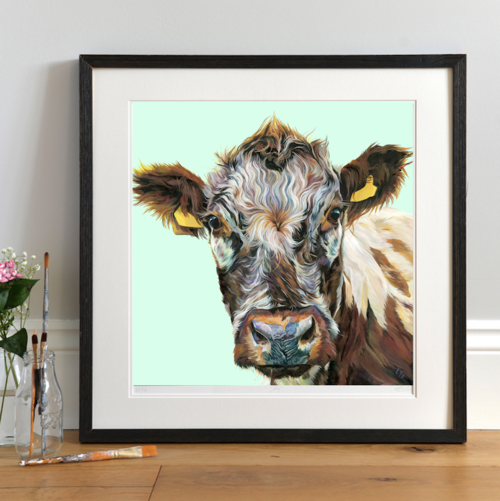 One of the most intricate paintings in the Lauren's Cows herd, this artwork is full of detail and expression. I rare beauty to for cow fans to add to the collection.